In the last four years of his stewardship, Prof. Shehu Alhaji Musa has repositioned the academic landscape and standards at Kano University of Science and Technology (KUST), Wudil, leaving and indelible footprints as well as physical infrastructure develoopment. 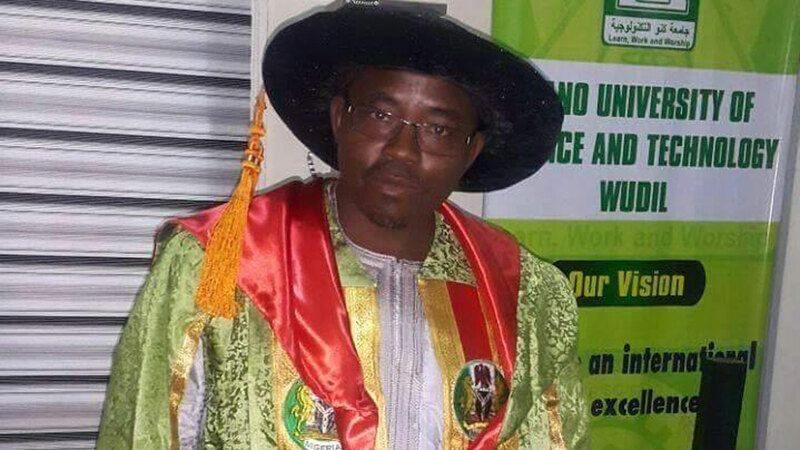 In fact, the first professor of agricultural economics from Kano, the renowned scholar has brought to bear his academic prowess to advance the frontiers of learning, piloted modern information technology and opened the university to international linkages and collaboration. 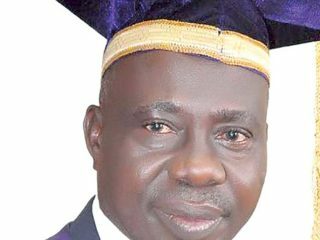 He spoke with Murtala Adewale on the state of development and giant strides recorded in the university so far. Can you review your last four years in office? Let me begin by way of appreciation to the media for portraying the image of the university in brighter light throughout my four years tenure. I hope you will not accuse me of being selfish if i adjudge myself as a friend of the media. Of course, we know your positive role in the uplift and socioeconomic development of our dear country. For some of you who have visited the university recently, you would no doubt affirm the milestones in terms of developmental growth so far recorded. On assumption of duty on 6th of December 2014, together with my management team, we outlined well-packaged programmes to lift the standard of the university. We came up with seven target points to rejuvenate and reposition the university to meet the mission and vision of its founding fathers, which is to make the institution an international center of excellence. First, we intend to expand the academic programmes in the university in all ramifications, strengthening the quality assurance mechanism of the programmes offering and which we may likely also offer in future. Also, we planned to place premium on collaboration and linkages within and outside the country. We emphasized the improvement of our internally generated revenue to support funding from government to enable the university meet financial issues and five, we believe that as a university of science and technology, we should be able to drive the area of information and communication technology (ICT) and number six we also pledged to pay much attention to welfare of students and staff and lastly emphasise town and gown relationship. Is there anything to celebrate from these set goals? Before I begin to elaborate what we have achieved among these set targets, let me also put on record my appreciation on the efforts of my predecessors, former vice chancellors, starting with Prof. Shuati to Prof. U.G Danbatta, Prof. Ibrahim Diso, Prof. Ibrahim Garba and Dr. Mouhmmad Audu. They have all played their own role and we want to thank them for job well done. Upon our assumption of duty, i met the university with teeming challenges such as shortage of infrastructure, acute manpower deficit, urgent need to upgrade the ICT of the institution and the need to provide additional learning facilities so also the need to improve the welfare of students and staff of the university. On the first target, expansion of academic programmes, what we have started right from the inception was to work on the basic pillars that support each university in the world to become a privileged university and on that note, we were able to come up with an academic brief which will lay a solid foundation for subsequent activities of the university. Apart from the academic brief, we have also concluded the upgrade of the master plan of the university which will give direction as to what the university will engage in. To that effect the strategic plan was finalized which also gave birth to the establishment of directorate of academic strategic planning. The four-year tenure has actually witnessed massive employment of academic staff of the university. When we came on board we met 191 staff members but we give God the glory that within the last four years we have recruited well over 400 new academic staff which invariably translated to over 200 per cent increase in the capacity building of academic staff alone. Again we are proud to tell you that presently, we have changed the status of 118 academic staff to professorial rank and you will agree with me this is a giant achievement you in any university. Not only that, we have stabilized the pension contribution of staff of the university. When we assumed duty, the 17 per cent and eight per cent of staff contributory pension scheme were not being remitted as at when due. So far, we have been able to stabilize the system and now all remittances have been restored and this has cleared whatever fear of the staff. Again the beauty of it is that it concerns all the staff of the university, the senior staff. By a way of expansion, the university has rapidly expanded within four years. Again when we came in, students population was about 4,000 but as I speak with you, the enrolment is now 15,738 undergraduate students. We also realized the consolidation and actual realization of the establishment of full-fledged school of postgraduate studies. To that effect, we have so far graduated students in the school at master level in the areas of agric economics and extension, crops production, Chemistry, Physics, Mathematics, Microbiology and Geography. We have successfully graduated the first and second sets of postgraduate students from the school. We have also done the takeover of 10 institutes in Kano. 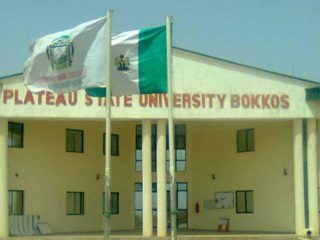 They include Audu Bako college of Agriculture, Danbatta; Horticulture institute, Bagauda; Livestock institute, still in Bagauda; Fishery institute, Magaga; Poetry institute, Tuque, Hospitality and Tourist institute here in the city of Kano. Also we have Sports institute, Karfi; Informatics institute, Kura and Security and Corporate institute. We can conveniently say this is the fastest level of expansion any university can reach in a short period of four years, more than you can imagine and witness in any university in the world. We can conveniently say the university now has 10 mini-campuses that in future can become full-fledge campuses where we can run our under- and post-graduate programs. We are presently running 10 diploma programs in those institutes, basically on skill acquisition to manpower and empower development of our youths. We have also established full-fledged faculty of science education to produce manpower in various areas of education to produce professional teachers with 7 departments under that faculty. To ensure quality control mechanism and assurance, we have also established a directorate to check the quality of our students. This has enabled us to come up with strategy which we recently introduced in our admission policy to have decent, disciplined, hardworking and intelligent students in the university. The admission quota has been expanded from 1,800 to 2000 but as I speak the admission quota has reached a slide above 5,000. This is again a milestone which has given hope and empowered the teeming youths in education. To buttress what we have done in the area of quality assurance, I am happy to let you know that in 2016, the university underwent an accreditation exercise from the National Universities Commission (NUC). Out of the 21 academic programs submitted for accreditation we are pleased to inform you all were successfully accredited by NUC and that has placed us on the high premium as there is no single academic program that is not accredited in the university. This has gone to show that our quality assurance mechanism is really working credibly. Is there area of collaboration with outside bodies? Yes, in the area of collaboration and linkages, before we came on board the university had only 4 collaborations; presently the university has successively initiated collaboration and linkages with over 40 international and national institutions. So far about 19 memoranda of understanding have been signed and another 27 pending MoUs will become reality. Also the university within its catalogue of collaboration has another 16 pending MoUs. I want to inform you that the university also has active collaboration with international institutes. We already started fruitful discussion with Oxford University in the UK with the support of our chancellor, Alh. Aliko Dangote. It will be a big program that will cover many African countries. We also have active linkages with Purdue University in the USA, Stutgart university in Germany, Russian Agricultural university, Shenyang agricultural university in China and others. In Nigeria, we have working relationship with many universities. We have long standing collaborations with Bayero university Kano and Ahmadu Bello university Zaria. They have been supporting the university and we shall continue to appreciate them. Apart from that, we also have strong and most outstanding relationship with Chinese academy of sciences. I can authoritatively inform you that KUST Wudil is the third university in the world currently working directly with the Chinese academy of sciences and our university is the only institution working with the academy in Africa. We are working on High Performance computing (HPC) and cloud systems with an IT company in China. For the purpose of clarity, Inspur is the largest computer technology company in China and they are ready to support the university with the HPC and Cloud systems. When fully established, the HPC system will ensure repositioning and re-transformation of the agricultural sector in Nigeria, which will enable precision agriculture and modeling in weather forcast in terms of temperature and other activities around agriculture. The HPC system will also support solid minerals exploration in Nigeria. Once the program fully takes effect, we will be able to offer advice to Northern governors that you have this particular solid mineral in your states and it is in commercial quantity that can henceforth be explored to the fullest. The system has been concluded and with the support of the visitor of the university Governor Abdullahi Ganduje and the chancellor Alhaji Aliko Dangote, the arrangement will be concluded very soon. The program will be the best in Africa though there is one going on in Sudan with beta flops capacity but the one that will be established in KUST Wudil is on tera flops capacity which is a system that has flexibility for upgrade while that of Sudan has not. Again, Kano state government is working on two other projects, the Safe City Project and Grains Solutions Project which will be directly monitored from the university via the HPC and the Cloud system arrangement. Also the project will enable us monitor our border system for exit and entry movements, also directly from the university. Similarly, the university is collaborating with NIHOUTOUR on hospitality and tourism, specifically to upgrade our institute of hospitality and tourism for capacity building purposes. We have done a lot in the area of ICT and upgrade of the ICT infrastructure of the university. If you check the university’s website now, you will notice a tremendous improvement on the website of the university. We are working hard to redefine our ICT policy and system in KUST at least to be to rank among the best centers among higher institutions in Kano and by extension in Nigeria. 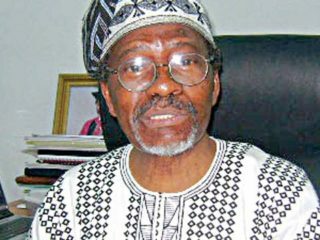 We must not forget the assistance of the NCC under the leadership of Prof. U.G. Danbatta for supporting the university with critical ICT infrastructure. This to a large extent, is supporting our ICT activities . To this end, NCC has constructed ICT CBT center with over 300 HP computers and the building is fully under solar system and working efficiently. In our 4 years tenure, the university has so far witnessed huge input in ICT. We have established CBT centers in four faculties, one at the faculty of agriculture and agricultural technology, under the agricultural economics and extension resource center. Another located in the university’s library, one also at the faculty of engineering and the last one within the NCC building. So far, the university has almost 2,800 new computer sets which means at any point in time, we can actually have about 2,800 students to write their e-examinations on CBT- based system. Leveraging on this, our plan is to commence e-examination in next academic session. If we can have about 2,500 students to sit for an examination at the same time, this means in 7 hours all the students in the university can write their own examination using the available computers we have presently in the university. Do we have structures on ground to support these laudable programs? Yes, another area which the university has done excellently well is in the area of physical infrastructure. Presently we have 35 completed structures due for commissioning. Of these 35 projects, the one with the minimum cost went for about N100 million. We also have those that cost over N300million in the university. On accommodation for students, when we came onboard, we met more than 16 students leaving in a room but so far we decongested the rooms to 8 in a room for male students and 4 to a room for female students. So far, all the female students admitted into the university are not permitted to leave outside the campus because we have enough accommodation for female students. Also we have two new buildings for two faculties, namely earth and environmental sciences and faculty of agriculture and agricultural technology. Again, we want to thank several agencies the university has so far benefited from, including the TETFUND and NEEDS assessment programs of the Federal government in the area of infrastructural growth of the university as well as the Kano state government . If you visit our campus and move in gradually, you will discover amazing infrastrutural development, fully developed from a virgin land that are now tagged by the students as the new New York of the university. What about welfare of staff and students? We have done our best in the area of staff and students welfare which is the last of our 7 target points. So far the university under our leadership has witnessed promotion of first set of indigenous professors who are now permanent staff of the university. For some of them, we are responsible for their promotion to the positions of readership to professorship and we shall continue to do that annually. Let me inform you that there is no single staff of the university due for promotion that we have not promoted and with this, we have continued to enjoy the harmonious support of all the stakeholders of the university. Presently we have so far, 42 PhD holders who have successfully completed their program and fully resumed back to the university. We have about 70 currently running their PhDs across the country and outside the country. One of our staff undergoing his PhD in France has actually made the university, Kano state, Nigeria and Africa proud because this person, Umar Dauda graduated with first class Honors from the university. He went to France for his master degree where he performed excellently well and was adjudged as the best overall graduating masters student among all the 16 international students drawn from across the world. On our town and gown relationship, we realized the responsibility of the university to serve its immediate community. Under this, I want to personally thank the visitor of the university for constructing a new Jumat mosque for the university through Ganduje foundation. Also we want to appreciate the emir of Kano for supporting the university when he was CBN governor for constructing gigantic buildings of faculty of science and postgraduate hostel. I will not forget the support of Alhaji Aliko Dangote who directed the university to employ 15 professors with a pledge to be responsible for their salaries and accommodation for four years. This directive was not limited to Nigeria; he wants us to look for those professors anywhere in the world and he is ready to take up the cost. Already he has rescheduled the term of engagement from 4 to 8 years and constructed 3-bedroom flats in the university for them. The exercise has reached advance stage and very soon that will be concluded. Also, Alhaji Dangote directed that the university be connected to the national power grid and constructed two hostels of 500-bed capacity each for male and female students. This donation was apart from the construction of superlative industrial borehole for 30,000 population capacity. Presently we are about 13 thousand capacity and this means the chancellor is already looking into the future of the university. We have sourced money to sponsor 500 less privileged students in the institution. We have stabilized the system, making it more dynamic with mutual relationship with all the unions and that is not to say we don’t have issues but I can tell you in the last four years we had smooth and uninterrupted sessions.